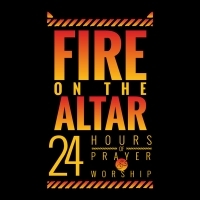 This 24 Hour Prayer Watch is a come and go prayer event open to both members and guests. People are free to drop by for a few minutes or stay the entire time. The Prayer Watch is held in the sanctuary of Grace Fellowship beginning at 12 AM and ending at 12 PM on the third Tuesday of each month. The service is characterized by prayer and inspirational background worship. Several different prayer stations and banners are arranged to help direct the prayers of those who attend. Prayer Hosts are assigned to oversee three hour segments around the clock.